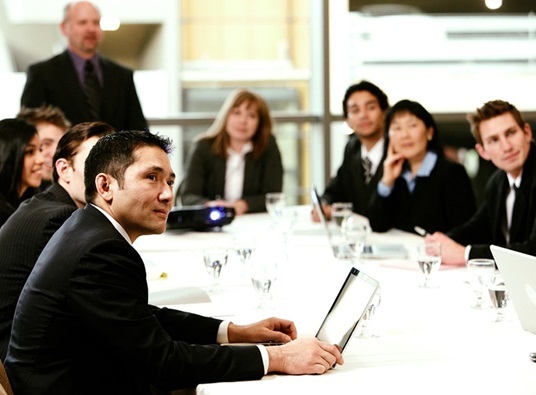 Meetings are inevitable in any business, however big or small it is. It’s here where ideas can be shared, plans formulated, deals made, and the seeds of success planted. Of course, not just any meeting place will do. In order to achieve anything fruitful, your meetings have to be effective. Connecticut Business Centers has five great tips that are your keys to that success. 1. Do it somewhere professional. “Location, location, location” is an axiom oft bandied about by those in the real estate industry. It’s one that holds a lot of weight when talking about professional meeting rooms central to a Stamford, CT, office space. When you set your meetings in places that are both comfortable yet clearly professional, you set the tone for serious talk without the pressure and weight that normally comes with it. That’s why our meeting rooms at Connecticut Business Centers are spacious, well lit, and clean, with comfortable furnishings. 2. Make sure everyone knows what’s up. Although you want meetings to be collaborative and incorporate many ideas from everyone that’s a part of it, things can go nowhere in a hurry without a sense of direction. Before setting things up, you need to figure out what needs doing. Is there a problem that needs solving, a change that needs implementing? Write it down and make sure to announce it at the very start so you can always take things back to the right road no matter what tangents your meeting sashays into. 3. Get and keep the right people in. Someone from your IT department, for example, is likely going to feel out of place when you’re discussing accounting or company logistics. That’s why it’s important to consider who exactly needs to be in a meeting. It pays to go over the objective you set for the meeting itself—it will filter out who needs to be there. That being said, it’s also important that you keep control of the meeting. Nothing can be more of a downer than one person dominating proceedings. Be the arbiter—allowing everyone equal say. 4. Have connectivity, but manage it. The great thing about the modern office is that almost everyone has access to the Internet. On the one hand, this can be great for meetings, as points and ideas raised can be then immediately supported by sources off the Internet. On the other hand, you don’t want everyone distracted by their social media accounts. Control ultimately comes from your setting the ground rules early on. In any case, our meeting rooms at Connecticut Business Centers already come with fast Wi-Fi connectivity to help facilitate that flow of ideas. 5. Make sure to summarize and follow up. Not everyone will be taking notes during a meeting. If you’re in the lead, you have to. And it’s a very important task because you’ll want everyone on the same page when a meeting ends. To maximize the output, always organize your notes post meeting and send them to all attendees. That keeps things fresh on their minds and helps when tasks and ideas need to be followed up. Connecticut Business Center provides you with all you need to keep your business running and staying ahead. Whether you need solutions for actual office space or want to set up a virtual office in Connecticut, we are your best bet. Give us a call today and we’ll help you work out a plan that best suits your specific business.